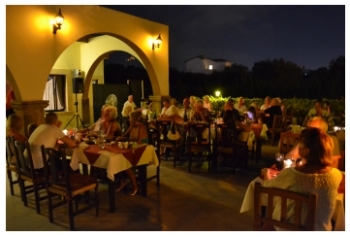 Spring is on the way and soon we can look forward to sitting outside in the evenings and perhaps enjoying a nice meal and some excellent entertainment under the sparkling stars to make the night just perfect. To make your reservation please call Imtiaz on 0392 815 7390 or 0533 842 2784 – Please visit the Al Shaheen website click here to see what mouth watering delights await you. 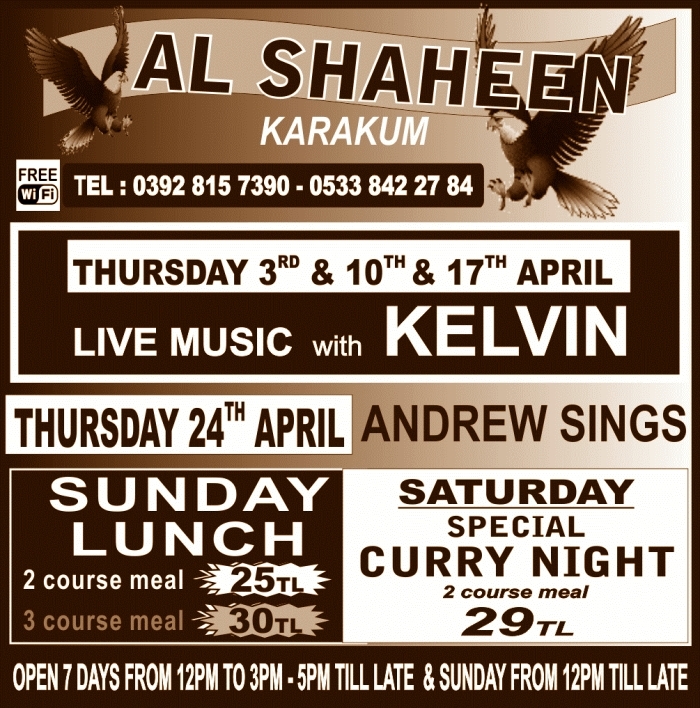 Thursday 3rd April 2014 – Live music with Kelvin. Thursday 10th April 2014 – Live music with Kelvin. Thursday 17th April 2014 – Live music with Kelvin. Thursday 24th April – Andrew Sings….. This entry was posted in Special Events and tagged Al Shaheen Karakum, Andrew Sings....., Entertainment, Live with Kelvin, Spring events by kyreniacommentator. Bookmark the permalink.